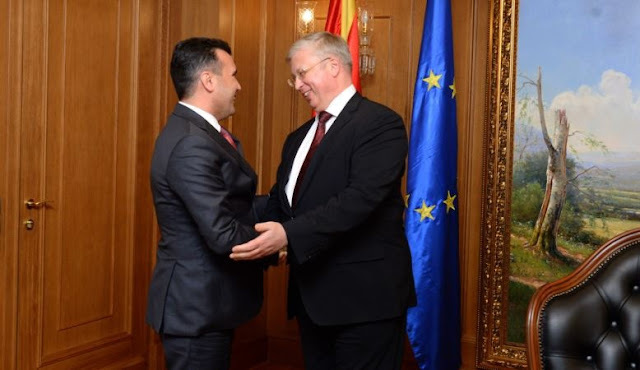 The Russian Federation announced that will recognize the new name of the Republic of North Macedonia, Russian Ambassador to Skopje Sergey Bazdnikin confirmed, which on Tuesday submitted to the Macedonian Prime Minister Zoran Zaev a note of the Russian Foreign Ministry with this decision. Moscow had not provided any sign of recognition of the Prespa Agreement between the governments of Greece and North Macedonia for the name previously. Russian officials had implied that they would block the decision from the UN Security Council even from Moscow, threatened that North Macedonia, being part of NATO, could be subject to Russian missile strikes. The new Russian position adds hopes that Moscow will improve the friendly and economic relations with the small Balkan country. A joint inter-governmental commission for commercial and economic co-operation will meet in the near future. North Macedonia exports mainly fruits and vegetables to Russia.